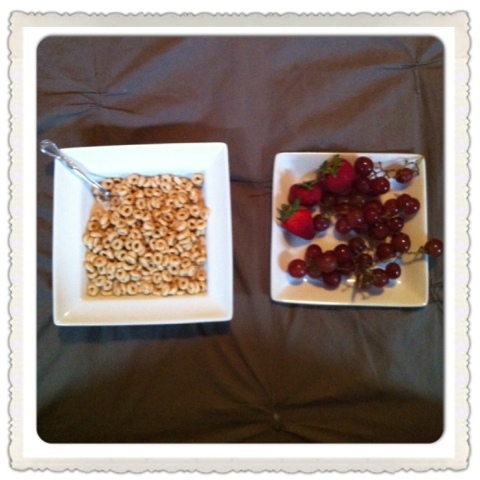 Honey Nut Cheerios + Grapes + Strawberries = My Dinner Last Night. And I loved it! I left work a little early because I didn't feel great. I ate in bed while watching Friends Season 2 on DVD (after 2.5 weeks of living here we're STILL waiting for the cable company to hook up our cable). It was a delightful way to spend a Tuesday evening. What did you do?